If you are struggling to improve your forehand, one of the best techniques to use is that of visualisation. The forehand might seem like a simple shot, but it involves a lot of technique to perform it correctly. To get the most out of the shot you to practice with positive repetition, but ensure that you are getting the swing and the movement correct. Visualise how your body needs to move to hit the shot, and then practice. 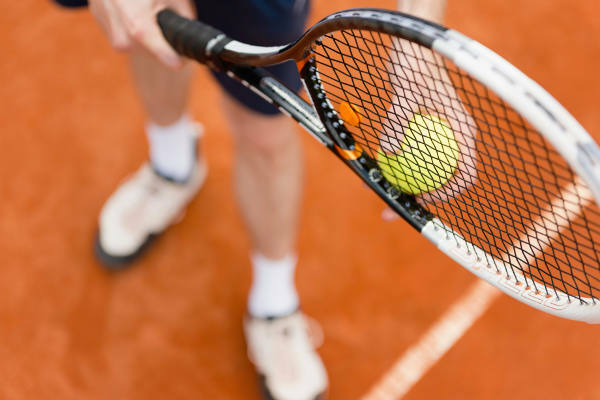 Don’t try to copy the movements and grips of professional tennis players. Simplify your forehand and work on a stroke that is effective for you. It’s easy to assume that it is your arm that does all the hard work in the forehand, but remember that your footwork is just as important. To hit a forehand properly you need to be balanced, and that requires you to have your feet in the right place. Move into position early to give yourself plenty of time to set up the shot. Many players feel more confident with their forehand than their backhand, but this can end up actually weakening your game. Having to run around your backhand to hit a forehand will almost certainly end up meaning that your forehand technique is rushed, and not as good as it could be.